Be the first to hear about their new releases and deals. 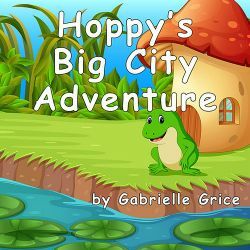 Download the Booksprout app and search for Gabrielle Grice today! Gabrielle Grice is a retired police officer, who writes adult books under another pen name. She lives with her two dogs, Jinx and Bella, who love to cuddle while their mom creates stories.